Launch your science fantasy tabletop adventure and create futuristic heroes and action-packed campaigns all with one box! 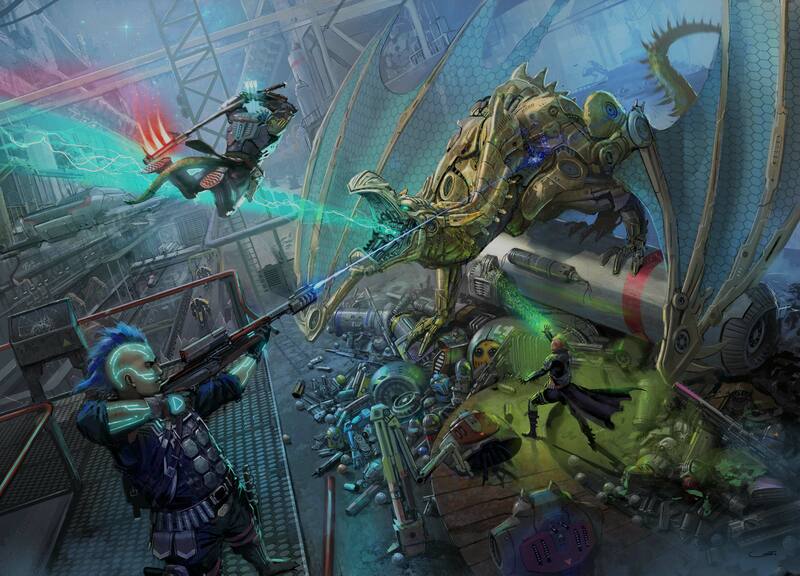 The Starfinder Beginner Box has everything you need to kickstart a lifetime of pulse-pounding adventure among the stars—the only limit is your imagination. Get started with everything you need to know to create and play your new character, from classes and themes to alien ancestry, general rules, plus a short solo adventure. A wondrous galaxy is at your fingertips, full of new worlds and alien adversaries. Learn how to run encounters in the Steel Talon's Lair adventure, and gain insight into how to create your new world and engage your players in the story. Also included in the box are: a set of seven polyhedral dice, 80 pawns depicting diverse heroes and aliens, 24 pawn bases, six pregenerated and six blank character sheets, six player aid cards for quick reference, and a double-sided Flip-Mat. 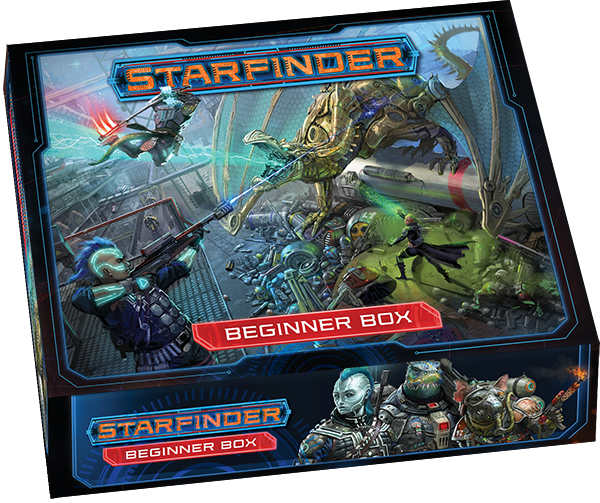 We unboxed the Starfinder Beginner Box in our Twitch studio, and detailed everything inside, from the books to player aid cards and more!